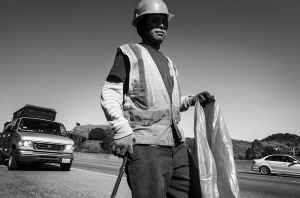 Many of us are pigs. Sadly. 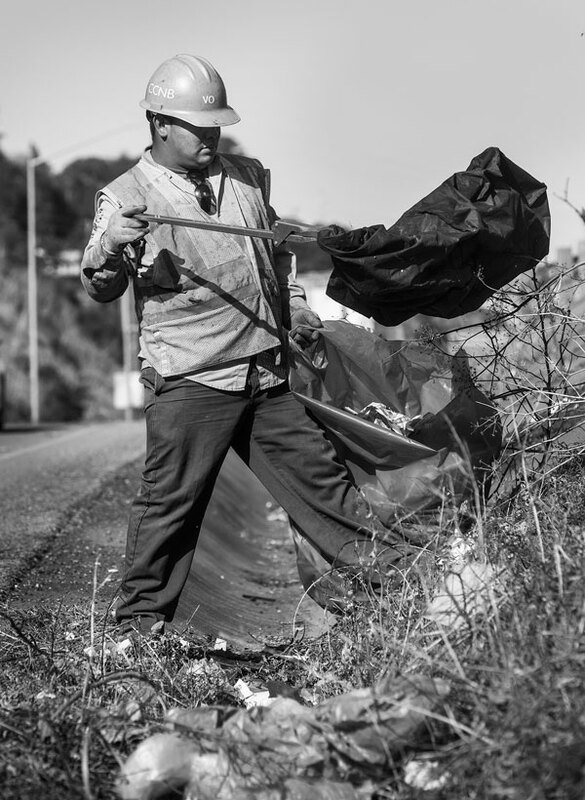 We toss our plastic bottles, takeout containers and other trash out of our cars, inconsiderate of the environmental damage it does, the aesthetic blight it causes and the cost to to clean it up. 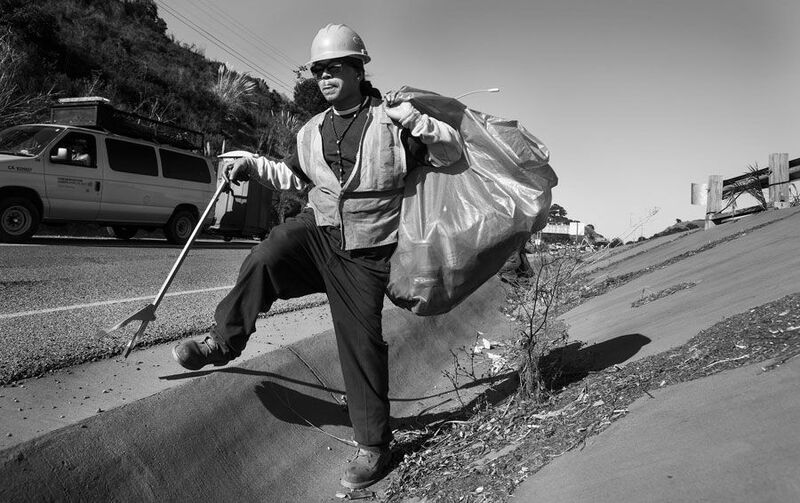 I spent some time walking a section of U.S. Highway 101 in Marin County with a crew from the Conservation Corps North Bay (CCNB) for a story in Marin Magazine about how, even in the wealthiest of the Bay Area’s counties, motorists use public roadways as their private dumping grounds. 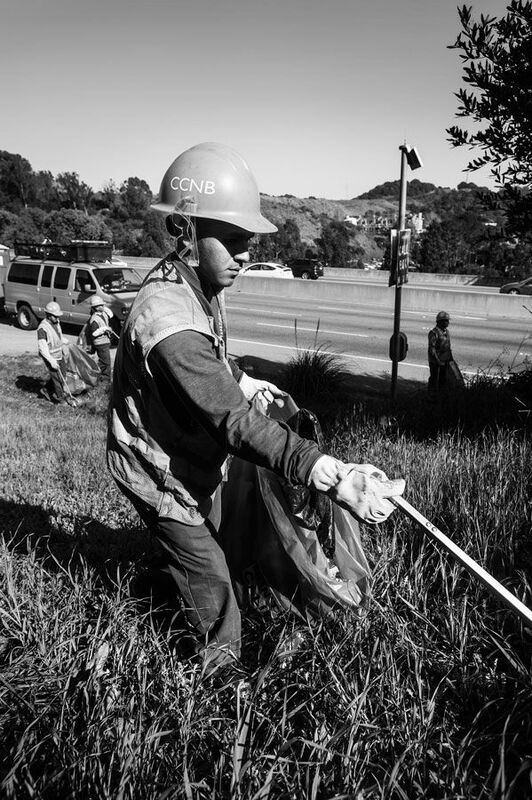 The CCNB crews consist of young men and women who were born into challenging lives and, with the help of the Corps and the sweat of their brows, are turning them around. 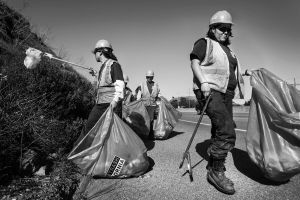 Next time you’re about to dump your double-decaf-mocha-grande cup out of the car window, think about who has to clean up your mess. This entry was posted in On the Job and tagged 101, CCNB, Conservation Corps North Bay, Highway 101, litter, Marin, Marin Magazine, trash.